Getting the the right mindset to workout and push yourself can be difficult enough, so having a few key pieces of the right workout “gear” can make that decision easier. I truly think less is more when it comes to exercise accessories. I don’t have a lot of fancy gadgets, but here are a few of my essentials that keep me comfortable and motivated. 1. My tunes: I HAVE to have music when I workout. 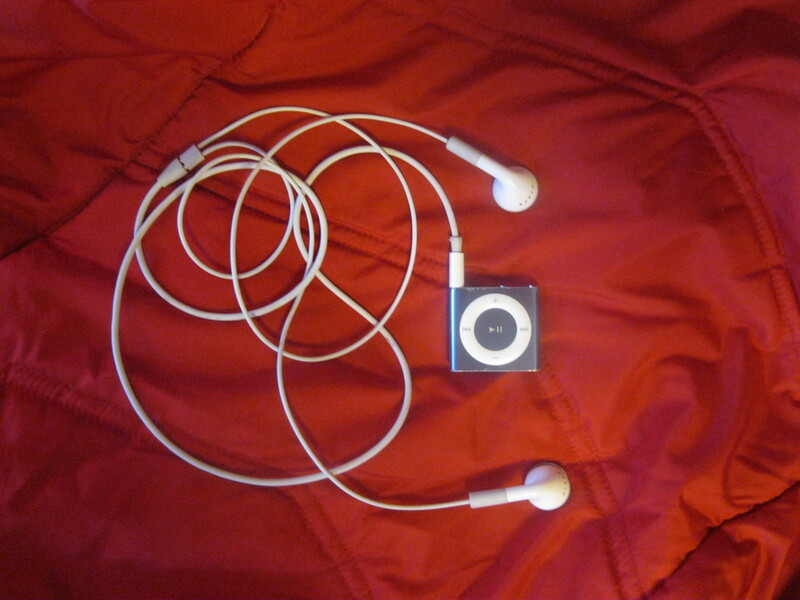 It is just a must for me, and I love my little iPod shuffle. 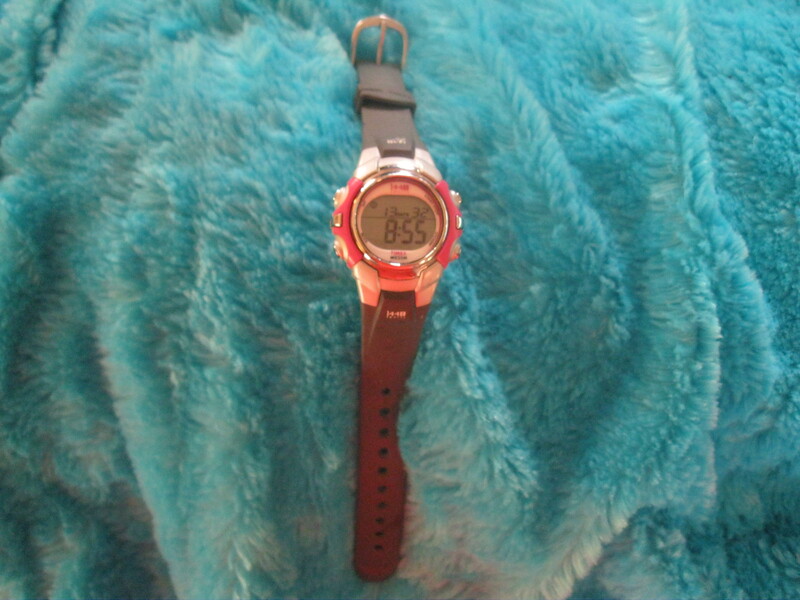 It holds hundreds of songs, has a long battery life, and is small enough to clip onto my clothes with no discomfort. 2. Good shoes! I can’t stress enough the importance of good supportive shoes. In my 20’s , I always bought the inexpensive shoes and it was not a problem. Now that I am dealing with plantar fasciitis, good tennis shoes are a must. Make sure to replace your shoes at least every 4-6 months or 300-400 miles if you are a runner. With a Sharpie, I write the date I bought my shoes on the inside to help me remember. It is also a good idea to find a store with specialists that can analyze your gait and recommend the right shoe for you. 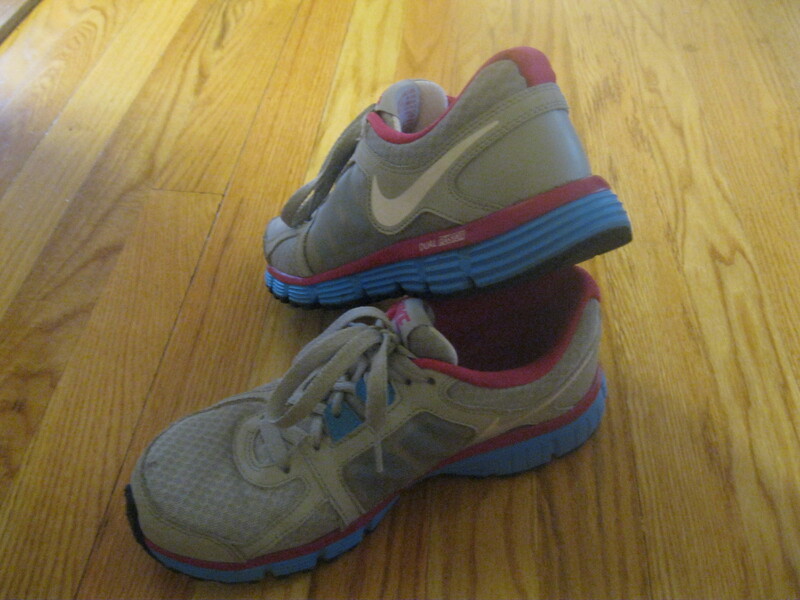 New Balance and Nike work for me, but try on all the brands if you are new to buying tennis shoes for exercise. They all feel a little different. 3. Comfortable workout attire: There is really a great selection of affordable workout clothes these days. I don’t want to spend a lot of money in clothes I sweat in. Target and Old Navy are my favorites. They have great colors to mix and match and the material is breathable and moves with me. As a trainer, these are my “work” clothes so I pretty much wear them all the time. Here are a couple of my favorite pieces: The pants are from Target (champion brand), and I can’t brag enough about how comfortable these pants are. 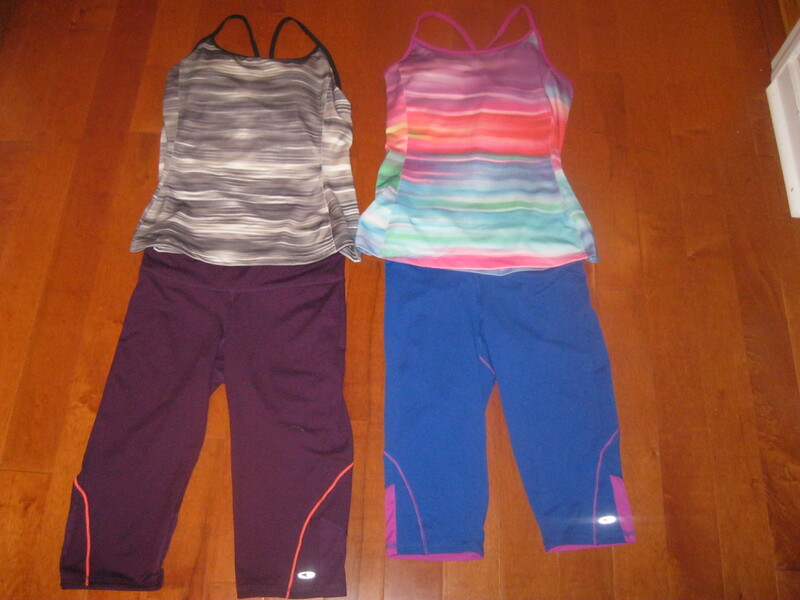 The tops are from Old Navy – love the colors! 5. Gym “purse” : My gym “purse” is pretty much my purse for the week. If you have a designated place for all of your workout essentials, it makes getting to the gym or wherever your workout destination is much easier and more likely that you will go. Having to get all your stuff together can turn into a reason not to get going, so stay prepared! 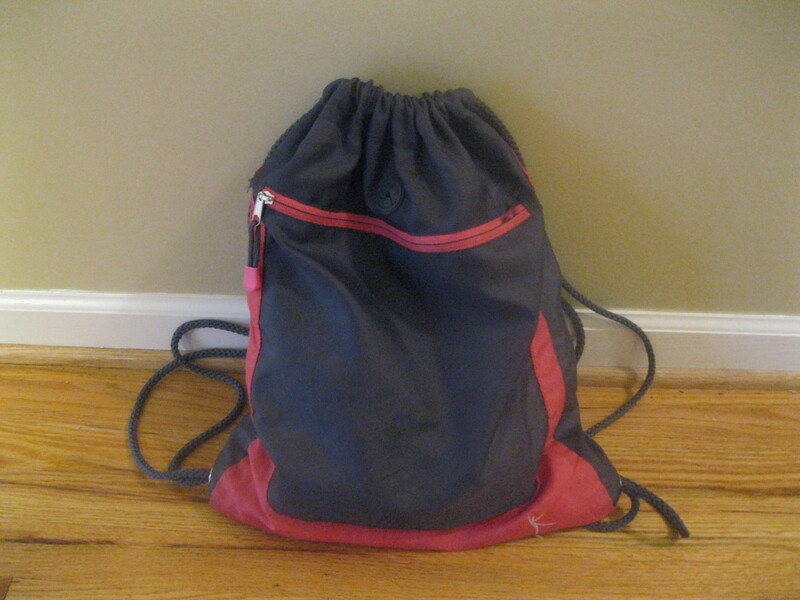 I love the back pack kind, and again this was about #8 at Walmart and I have had it along time!